The view out the windows is the same, day after day. After day. After day. All summer we’d look out a window and have to think, “Now, where are we today?” We were mobile, every day a different place, a different adventure. Now, for the winter, we might as well be living in a house. Fixed in one place. The view never changes. Well, that isn’t quite right. Some mornings the view is of nothing at all. It seems we are moored at Ground Zero of the French region of winter fogs. We often share the same vista as our friends living on Penobscot Bay in Maine – a landscape composed of the inside of a cloud. But the fog always clears by lunch. Sometimes revealing sunshine. More often revealing higher clouds. Sometimes accompanied by rain. Actually, more often than not accompanied by rain. And wind. And chill. Sounds like Maine in August. 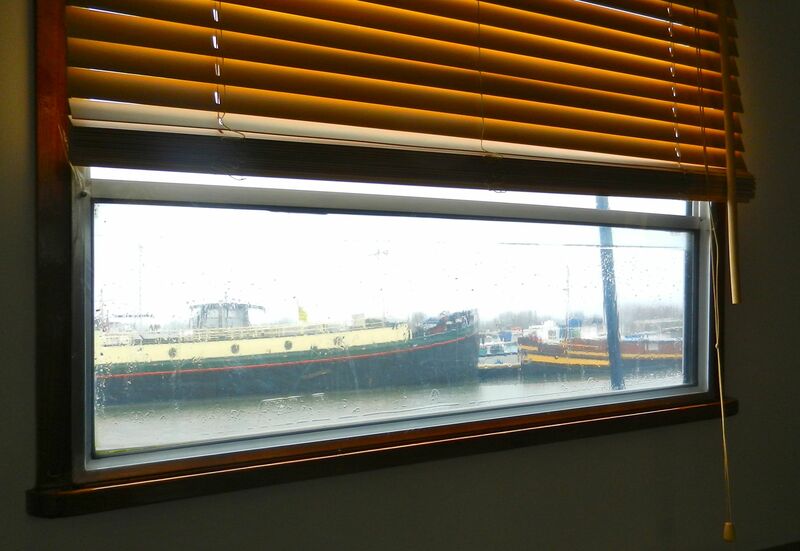 The unchanging view from the galley window: our neighboring barges seen through raindrops. We’re settled into our routines. Sandra is booked every day: Monday mornings she teaches English at the town’s community center; Monday evenings she takes French there; Tuesday she takes the train to Dijon for French lessons and lunches and coffee with her French online pen pals; Wednesday we have an afternoon get-together with half a dozen English and French speakers to practice mutual language skills; Thursday is a get-together with a French couple on a neighboring boat to work on language; Fridays, Saturdays and Sundays are social occasions with other bargees, or dinners with French friends. Our Auxonne social life is more full than life in Ipswich had been. Daily living on an 86-year-old barge involves far more tasks than life at home. After 40 years of living with wooden boats, we are learning the joys of iron and steel when mixed with water. Rust is the new wood rot. Harvey’s favorite toy is the electric grinder. He has happily, as one American neighbor branded him, “gone native” with his newly-purchased double full-length zippered coveralls from the Gamme Verte, the local garden supply store that sells everything from 10-liter boxes of local wines to chain saws, de rigueur haute couture before commencing any form of physical labor in France. We’ve reached our accommodations with our accommodations. 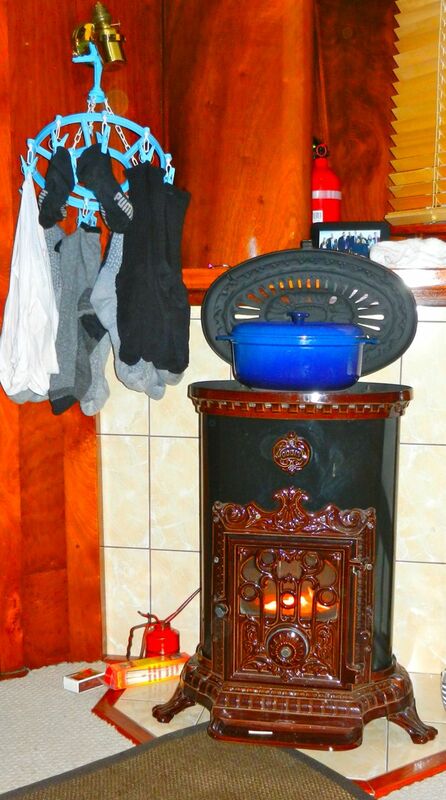 The stylish Godin diesel heating stove doubles as a simmering plate, and triples surrounded with wet laundry. Our always-on heating stove, topped by dinner, surrounded by wet laundry. But all is not dreary. Last week we took the train to Dijon – as you may infer, our favorite place in France … so far – for museums and lunch. Sunday lunch is a big deal in France, hours long, followed by a leisurely promenade. 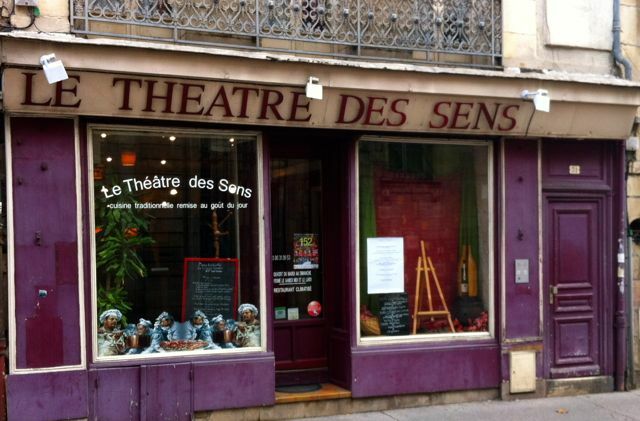 We couldn’t resist a tiny restaurant we’d walked past previously, especially one with a name as esoteric as Theatre des Sens, the Theater of the Senses. You couldn’t ask for more or better. Five tables. One waiter. One chef. Three hours. And the best meal we’ve had in France. Thanksgiving away from family was difficult. We invited a French family – Sandra’s tutor’s – for dinner Saturday. Mom, dad, son and daughter. A lovely night of food, wine, politics and trading “how we met” stories. 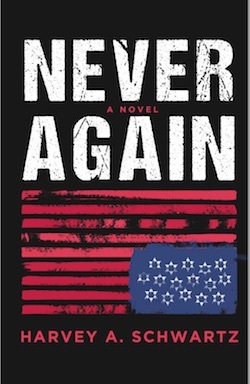 And cultural revelations, such as failing to come up with an explanation for why Americans seem compelled to label so many “heroes:” every soldier, policeman, firefighter. The differences between America promoting “charity” to help distressed people while France sees helping people as part of the social compact for which government is created. And the revelation that an elementary school field trip was to a fromagerie – a cheese shop – so the children could learn how to select cheeses and the best methods to sample them. Has any American school ever included gastronomy as part of its elementary curriculum? So, we’re settling into our town of Auxonne, making friends, local and nautical, and learning our way through the intricacies of shopping, cooking, transportation and even health care. The French health care system is fantastic, and inexpensive, compared with the U.S., but it does hold its mysteries. For example, we wondered how to arrange for annual flu shots. At home we’d simply call our doctors’ offices and schedule a time to get stuck. What to do here, we wondered? Tres facile, we were told. Just walk into a pharmacy, which are as ubiquitous as dog groomers, driving schools and boulangeries, and buy the vaccine. And it was tres simple, as we’d been told. Six euros later we held two fully-loaded syringes. Now what? 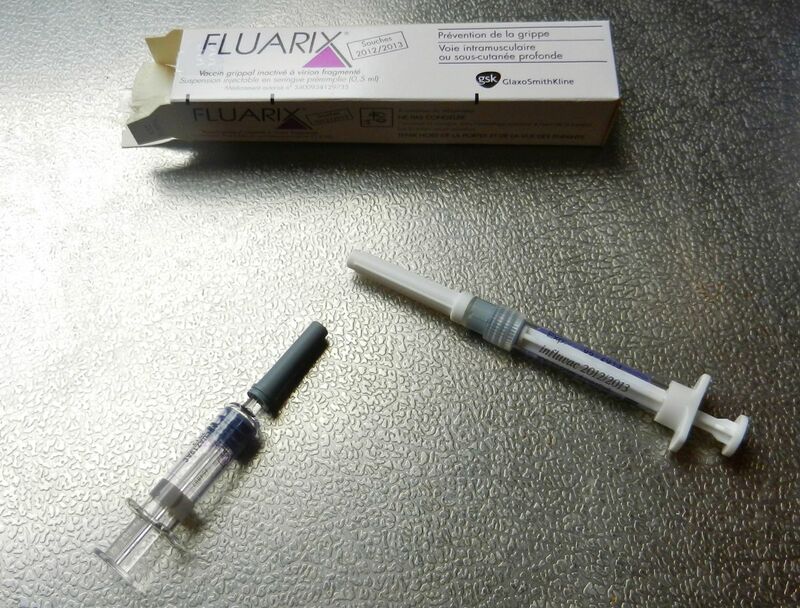 A bit of Google on “how to inject flu vaccine” and there we sat in the barge, needles at hand, pants rolled down, courage dwindling. Sandra bit the bullet and stuck herself, then she turned to Harvey, who nodded bleakly and then, voila, it was done. French friends were shocked when we told what we’d done. No, we were told. You should take the syringe to your doctor. Or call for a nurse who will come to your home and inject you. Woops. We’re still planning a one-month mid-winter get-away although our destination remains roughly defined only as “south” and “warmer.” Maybe a Greek island, maybe Madeira, maybe Spain. Tough choices, right? Winter, so far at least, has been exciting, busy … and stationary, giving us a more intense experience of living in France. Winter here has become a more precious experience with a change in plans for us. We recently learned that the friend living in our house in Ipswich will be moving out before summer. We decided, as a result, to return home for next winter. 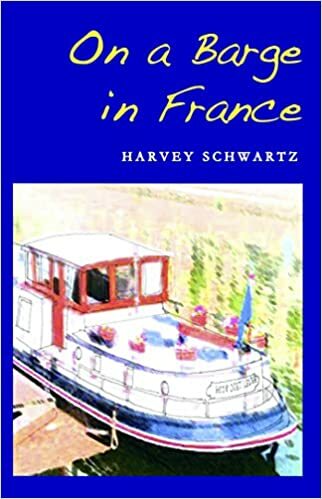 We’ll look for a summer tenant but stay in the house ourselves from November through the following Spring, then return to France once again for summer cruising. Rather than north-to-south snowbirds, we’ll migrate east and west. That will be our pattern, we hope, for years to come. 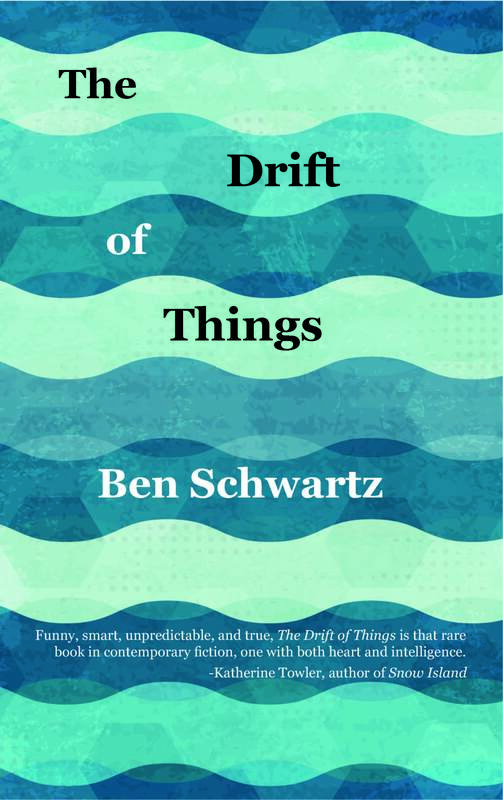 But until then – a year from now – the adventure continues. Perhaps our fixed-in-place winter doesn’t offer a different adventure every day, but it does give us the same adventures over and over, deeper and richer, more intense, as, we learned at dinner the other night, the wines of Nuits-St.George are richer – more “masculine” we were told – than are the wines from farther south in Bourgogne. But both types of wine, and both types of French experience, are magnificent. Once again our storytelling is a gift! And just in time as I joined the “Medicare club” yesterday… ha! Your everyday adventures are a delight! Affordable health care and school field trips to cheese tastings could definitely improve things here. I’m thinking Sandra needs to think about a Le Cruset/Godin cookbook! Merci and continue to enjoy! That is, indeed, a handsome stove. And you are used to stoves that are always on, right? I wonder if, next winter, snug in your home in Ipswich, you’ll miss Auxonne. Oh no, my friend, we ride the camel into town.